These Giant Oriental lilies are a must for lovers of cut flowers, allowing you to grow the real thing in your own garden. Growing in mixed colours and with an unmistakable powerful fragrance, they have that wonderful scent you would expect from a Lilium. The Giant star-shaped flowers are produced in vibrant colours each summer. 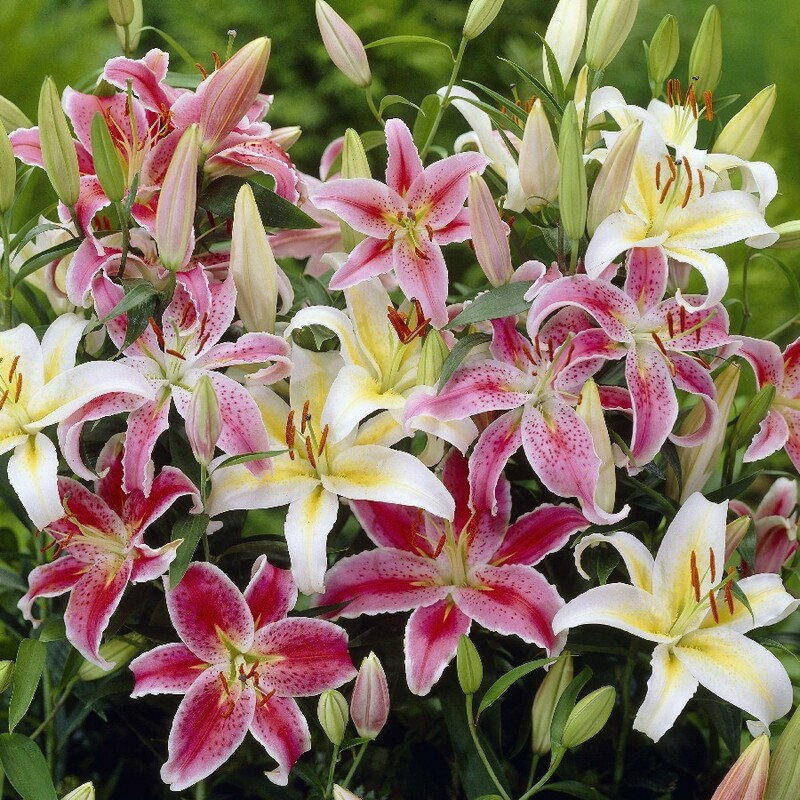 Planted in the right location lilies can be left undisturbed and will grow back every year. For best results plant in clumps in well-drained soil where they are not exposed to wind and can get plenty of sunlight, in perfect conditions the flower stems will rise in heights from around 3-4ft. Pack of 10 top sized bulbs ready to plant and bloom this summer.